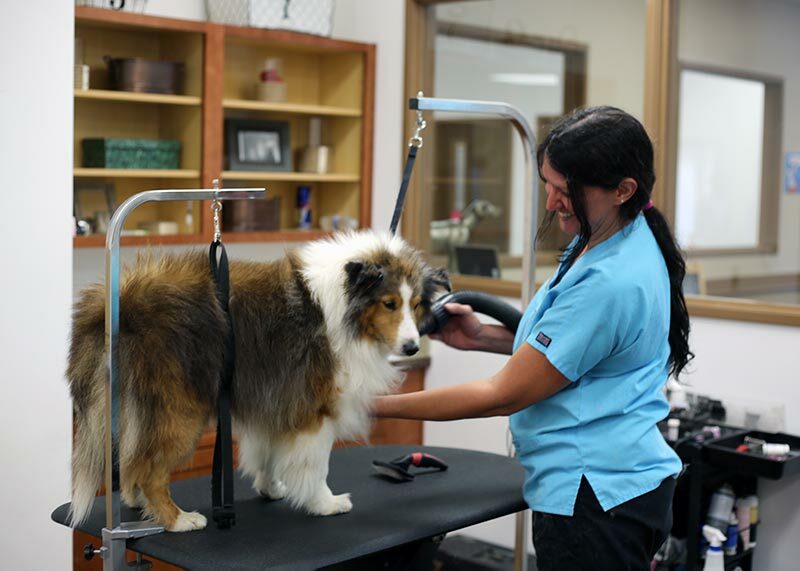 Hannah offers a wide variety of grooming services provided to Members at our veterinary hospitals at a 20% discount. $10/mo for 4 per year. $20/mo for 8 per year. We were a little leery of doing this at first because we were afraid they would limit her care if the cost of care exceeded our monthly payment, but that has not been the case...Our Dane then acquired an infection that required ultrasound imaging, and this was done quickly, with no additional expense, during an office visit. Joining Hannah was the best decision we could ever make for our dogs. We have incredible peace of mind knowing they are well taken care of, and that they don't skimp on care when the cost of their care exceeds their monthly dues.